If you are an iOS user, then you know that not all the applications are available in the Apps Store due to some restrictions by the Apps Store. Then there are paid apps, but the developers don’t give the trial option to try those apps before spending on them. In such cases, apps like TutuApp for iOS come in handy. The Tutuapp for iOS offers alternative Apps store and allow you to download any app you like for free. The user can use the app for some time and they can purchase the premium app from Apps store if he/she want it. 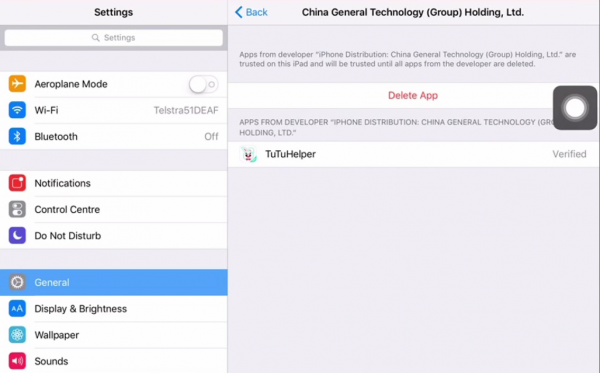 In this post, learn how to download and install Tutuapp on iOS. 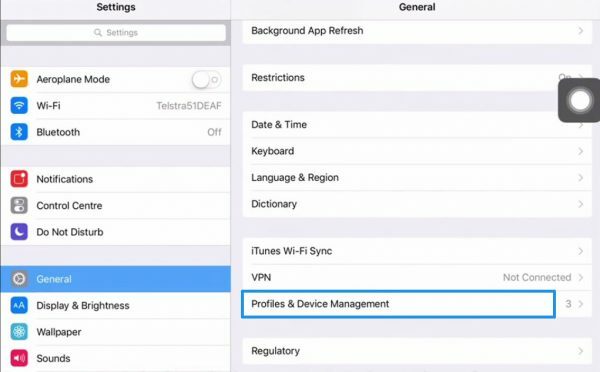 The TutuApp doesn’t require Jailbreak and can be installed on any iOS device. The Tutuapp offer’s inbuilt cache cleaner functionality so you don’t need to use a third-party stand-alone cleaner application. The app works without Apple ID, unlike the official apps store. The app developer claim to update their app collection every day with best free paid apps available for the iOS devices. The Tutuapp also claims offer better downloading speed than Apps Store. Make sure your iPhone and iPad are at 100% charge. Make sure you have a stable internet connection with decent speed. Open Safari Web browser on your iPhone or iPad. Now open the official website of Tutuapp by visiting the Tutuapp website. Note that it is necessary that you use the Safari browser to open this link. Once in the Tutuapp official site, tap on the Download Now button that you see on the screen. Make sure you download the regular version of the Tutuapp and not the VIP version. After that, you should see a pop-up asking you to install Tutuapp. Tap on Install button to begin the installation. Wait for the Tutuapp app to download and install on your iPhone. After the installation, you can see a Tutuapp icon on the home screen. You cannot open the app right away because the app is downloaded from an untrusted source, so you need to make it trusted first. To do this, go to Settings and navigate to General and tap on Device Management or General > Profile > Device management. Next, tap on Trust and then tap Trust again to make the app profile trusted. That’s it! You can launch the TuTuapp on iOS device and access it from the Home Screen. The second method involves downloading the required Tutuapp file from a third-party. Follow the steps given below to know how to do it. Open Safari web browser on your PC and then go to this link. Wait for the page to load the download page. Tap on the download button to download the file. Tap on the downloaded file, and it will take you to the TuTuapp for iOS installation page. Tap on Install button and wait for the tutuApp to be installed on your iOS device. After the installation, you need to make the app trusted because it is not from an Apple trusted source that is the Apps Store. To do this, go to Settings and open General. In General, navigate to Profile and Device Management. Find the tutuapp menu and tap on Trust twice. It will make your Tutuapp profile trusted. Now you should be able to access the Tutuapp from the Home screen. Open the Tutuapp from your Home Screen. The app has most featured and popular apps category by default. Tap on the download button when you want to install an app from the Tutuapp store. You can also use the search feature of the app to find any app not listed on the homepage.